The boys and young men of our parish assist in the sanctuary to facilitate the proper celebration of the Divine Liturgy and other services of the church. Their responsibilities include proper reverence and use of such items as the fans (ripidia ), torches and incense preparation. The altar society was formed by the women of the parish in April 1964. It is governed by volunteer officers. The society is a very active organization that sponsors fund-raising activities to help pay for the needs of the church. Currently, most popular is the twice weekly sale of stuffed cabbage and fresh baked breads. In addition to fund raising, the children of the parish are taught to make their own pascha bread for Easter, and greeting cards are sent to shut-ins and sick members of the parish. Currently we have three cantors who, on a rotating schedule, lead the congregation in the singing of the divine services. Their schedule mainly covers the Saturday vigil and Sunday Divine Liturgy. Our lead cantor provides for the holy day liturgies, as well as for the funerals of our parishioners. Our choir sings the responses for the liturgy with four part harmony arrangements, in conjunction with the cantor schedule. The choir is also well versed in compositions for the singing of the Pascha and Christmas celebrations. Our director organizes a yearly festival of choirs which is held at the church. This festival showcases church choirs from the greater area as well as our own. Additionally, singing of the Slavonic Liturgy is a unique attribute for the choir, participating in the yearly Vatra held at our shrine of Maria Pocs. ECF classes are held for the children grades Kindergarten through High School, on Sunday morning after the Divine Liturgy. The schedule coincides with the traditional September to May school year. Generally we have four to five different grade level groups, depending on the ages of those attending. Our volunteer catechists use the text books of the “God With Us Series,” supplemented with additional materials as needed. Selected readers, who have demonstrated the proper disposition and ability, chant the epistle of the liturgy and other appropriate readings, as needed throughout the year. 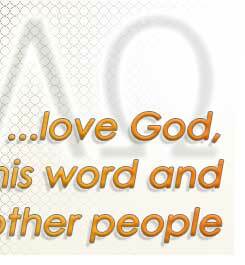 This is the mission statement of the recently formed St. Ann’s ministry of St. Nicholas church in Barberton. Our desire is to emotionally, physically and faithfully support the members of our parish, community and world by acts of prayer, service, charity and fellowship. It is with joy and love that we are preparing meals for expectant women and the infirm, gifting new mothers with items for their newborns, sending cards and prayers to those in need, as well as providing refreshments for lectures, meetings and parish gatherings. We look to the future of our newly formed ministry with excitement and anticipation, asking for prayers and blessings as we continue to serve our Heavenly Father. Children from Kindergarten to eighth grade are invited to participate in the junior youth group. Monthly meetings include time for learning more about our church, crafts, food and fun. With funds raised from a few activities, the group is able to plan about three social outings at different times of the year. This includes ice skating, laser tag and other events for fun and fellowship. The St. George Men's Group provides an opportunity for the men of the parish to gather together for spiritual growth and fellowship. As a service for the parishioners, the group sponsors both breakfast and dinner activities; and for spiritual nourishment, a full one day retreat. 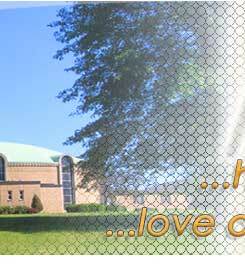 In addition, attention is also given to the physical improvements needed to maintain the church grounds and property. Knowledge of Scripture is knowledge of God. When you read scripture you learn about God. When you study scripture, you learn to know and love God. God speaks to us through His words in the Bible. Therefore, to know the scriptures is to know what God expects of us, His children. If you would like to grow in your personal relationship with Jesus Christ, join us at 7:00 p.m. on the first Thursday of the month in the library of the Cultural Center. The Youth Group starts at the High School age and strives to build fellowship through activities that are centered around faith, service and fun. Frequently, sleepovers are held which then allows the group to prepare for projects they will be involved with, or organizing for the next day. The younger children of the parish always look forward to the yearly Halloween party sponsored by the group. The mission of the group is that through prayer, each will strive to grow in faith, evangelization, and love in their life as Christian witnesses to each other and to the world. 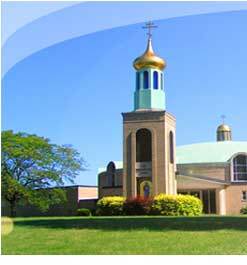 Using a DVD system with two cameras, switch board and sound control, the Sunday Divine Liturgy is recorded weekly for subsequent airing on the local Cable Access Television each Thursday at 11 a.m. In addition, the Christmas, Holy Week, and Pascha services are also able to be recorded. This electronic form of evangelization has been active for the past seven years with a crew of two videographers, who are now teaching this process to two younger members of the parish. This ministry provides a unique opportunity for involvement in the life of the church. The 300 club is an ongoing fundraising raffle where each number represents a weekly $1 donation, with a $100 weekly prize going to one lucky winner. Additional prize monies are given out half way through, and at year's end. A yearly dinner is also provided for all the members as an expression of our appreciation for their continued support of our church. This activity is open to the public as well as parishioners.